If I Don’t Replace My AC Filter, Will It Hurt Anything? 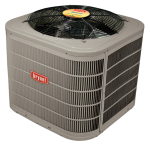 Your air conditioner is a complicated piece of equipment, capable of taking hot air and a little refrigerant and creating a cool, crisp breeze. But to keep it performing at its best, you have to do a little bit of regular maintenance, like changing the air filter regularly. Many new homeowners wonder if their air conditioning unit while suffer if they neglect their air conditioning filter — and the the answer is yes, a million times yes! Choosing not to change your air filter can result in serious repair bills. It can also destroy your indoor air quality and render the cooling powers of your air conditioner null. Like kryptonite to Superman, a dirty air filter makes your air conditioner weak and powerless by limiting the amount of room air it can pull into the air handler. 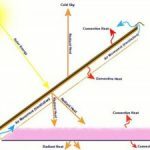 Less air movement means less air that is being cooled, which turns into an increased pressure load on your unit and a much bigger electric bill from all the effort. Decreased air movement into your air handler means less air to cool. While that might sound like a good thing, it also means that less cool air is moving back into your home. If your house is warm enough and the filter is thoroughly clogged, you may not get any benefit from the air conditioner at all. In addition, all that moving air carries dust, allergens and bacteria into your filter. If the air isn’t flowing well, those particles stay in the house with you, destroying your indoor air quality. 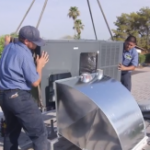 Increased pressure in your air conditioning system is a very bad thing indeed. Over-pressurized systems are more prone to expensive breakdowns and refrigerant leaks. Buying and using a new $10 filter each month can make a huge difference in the life expectancy of your air conditioner. Air conditioners aren’t cheap to repair or replace, so dig deep and spend that Hamilton for replacement filters to prevent spending lots of Benjamins. Constantly running air conditioners wear out fast, and they’re less efficient. Your air conditioner will keep trying to cool the air in your home until the thermostat tells it that it has reached a comfortable temperature. If the airflow to the unit is almost zero, that’s never going to happen. Your electricity bills will spike, and your air conditioner will be placed under considerable strain if you neglect to change filters. Your air conditioner is likely to freeze up in response. How Frequently Should You Change Your Filter? A lot of people want to know exactly how long their filters will last. Unfortunately, there’s no one answer — each environment and set of circumstances is different. If you and a friend buy the exact same filter, the conditions inside your home, along with your ductwork, can make one filter last longer than another. Frequently running the air conditioner. This one is a no brainer. The more you run the air conditioner, the more air it filters, and the more dust it traps. More people living in the home. Just moving around can throw dust and dirt into the air. More people in your home means more movement and more airborne particles. Indoor pets and active kids. Pets and kids bring lots of dirt, hair and bacteria to the party. These things clog your filter faster. But you don’t need to kick Fido out. Just buy filters in bulk and change them more often. If you don’t know how long your filters should last, check them once a week and change them any time they look dirty or dingy. Holding a filter to the light can help determine how dirty and clogged it is. When in doubt, throw it out! Is a Larger AC System Better?